Posted on January 28, 2015 | Comments Off on PAIN Levels- What’s your threshold? I continually ask the doctors, “why can’t we up the scale?” There’s days when my pain feels like a 15; since I live most days at an 8 we should raise it to represent when pain takes over the brain. But how much do they really think we can take before we break? Don’t they understand that Pain changes people; apparently not because the kinda pain that chronic pain and fibromyalgia brings to the patient is at times, unreal. 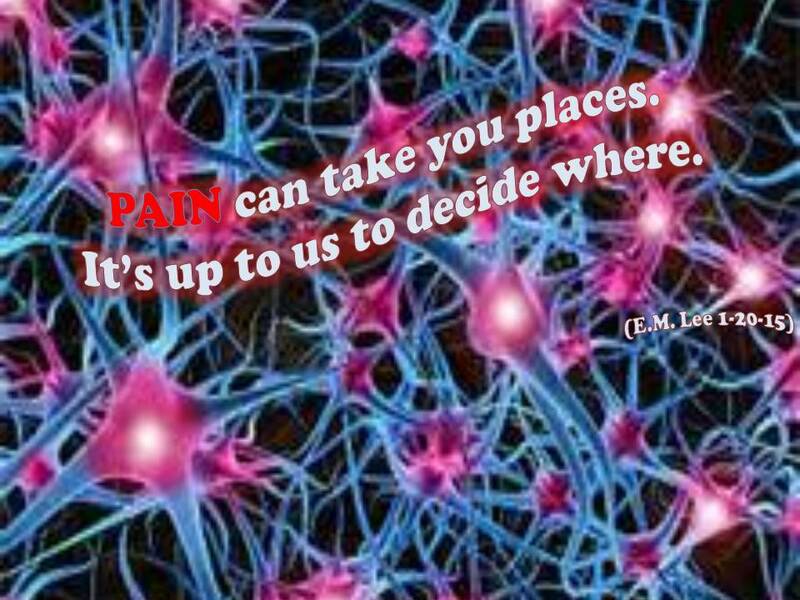 This type of nerve pain generates from the brain and can travel to every other pain receptor in the line of the central nervous system throughout the body. From the John Hopkins Lupus Center; Fibromyalgia outbreaks can be explained by how the flare up begins and travels through your body. So Just How Much PAIN can You Take Before You Break? Medical Daily posted the article that added Fibromyalgia to the 12 Most Painful Experiences List- “How Much Pain Can The Human Body Endure?, “Aug 9, 2014 09:30 AM By Susan Scutt. The next time someone asked you what your pain levels are; I’m wondering should we have a way to show them? Each person experiences pain differently. There are hundreds, if not thousands of combinations of past injuries, elements, stress levels, other conditions, and a multitude of other variables that can exist in each individual when their pain is at a heightened level compared to their normal daily levels of pain. No person who has not experienced this type of pain can ever acclaim to truly understand it; yet many still try to convince folks they can handle it like it’s a piece of cake. That’s why we who suffer this kind of pain must be prepared when our pain levels go beyond what we truly can bare. Do you have a plan in place for your next flare up? Get some help with developing your plan to combat the next flare up that will come sooner than later. Learn how to talk real to your doctor when you need to. Show all respect; make sure they respect you too. Check back for more tips and articles to help you learn more about your pain so you can learn how to overcome it! This entry was posted in Fibromyalgia, Resources-Health Related and tagged By E Michelle Lee, chronic pain, Fibromyalgia, How Much PAIN can You Take Before You Break, John Hopkins Lupus Center, Numerological Pain Rating Scale, pain community, pain levels, Radio Talk Show Host & Journalist. Bookmark the permalink.